WESTFIELD, Massachusetts - January 10, 2018 - Savage Arms is pleased to expand its already extensive catalog of firearms geared to left-handed shooters with the release of additional options in centerfire target, hunting and rimfire rifles. Savage Arms will launch the new southpaw-friendly models at the 2018 SHOT Show (Booth No. 14451) January 23-26 at the Sands Expo Center in Las Vegas, Nevada. “One of the keys to Savage Arms achieving an impressive stronghold in the firearms industry over the past two decades has been the company’s ability to dominate niche markets,” said firearms senior brand manager Jessica Treglia. “Savage’s ever-expanding selection of left-handed firearms is an excellent example of this strategy in action. On the precision-chassis rifle front, Savage introduces the new left-handed Model 10/110 BA Stealth and Stealth Evolution. Both feature a heavy fluted barrel with a monolithic aluminum chassis popular among long-range precision shooters. Both models also feature Savage’s zero-tolerance, thread-in headspacing, user-adjustable AccuTrigger and 5R button rifling, and produce sub-MOA accuracy at extreme ranges, out of the box. The rifles are available in some of the hottest calibers in long-range shooting, including 338 Lapua Mag., 300 Win. Mag. 6.5 Creedmoor, 308 Win. and 223 Rem. The Stealth Evolution is also available in 6mm Creedmoor. The Model 110 Storm also features a detachable box magazine, stainless steel action and stainless steel matte-finish barrel to withstand the most brutal weather conditions. The left-handed version comes in 223 Rem., 22-250 Rem., 243 Win., 270 Win., 7mm-08 Rem., 7mm Rem. Mag., 308 Win., 30-06 Sprg. and 300 Win. Mag. Like the popular A Series rimfires, all B Series rifles feature a 10-round rotary magazine and the accuracy-boosting adjustable AccuTrigger. 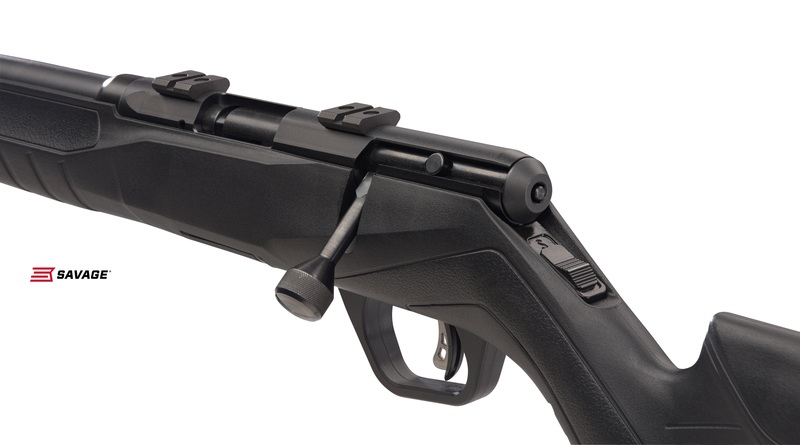 The B Series also features Savage’s accuracy-boosting zero-tolerance, thread-in headspace system similar to that of the company’s centerfire models.